Our students are at the heart of the School of History community and there are lots of ways to be actively involved and to enhance your student experience. You will be fully supported throughout your degree by your teaching staff as well as our support staff in the School office. You will have your own dedicated personal tutor within the School who will be an academic member of staff, they can provide support with your academic, personal and professional development. They will be a key point of contact throughout your time studying with us and you will have 1:1 meetings with them, you can also contact them if you have any issues or concerns. We take student feedback very seriously and you will have the opportunity to become a student representative for your course or for the wider School. You will act as a key point of contact for fellow students who have any concerns about their studies and will be involved with committees. This is a fantastic way to develop your communication and leadership skills and their ideas are implemented and shape the ongoing student experience. You could also support new students by becoming a peer mentor, you will receive full a training and will offer advice to new students to help them to settle into the School and university life. The History Society is one of the largest societies in the University and has won awards. 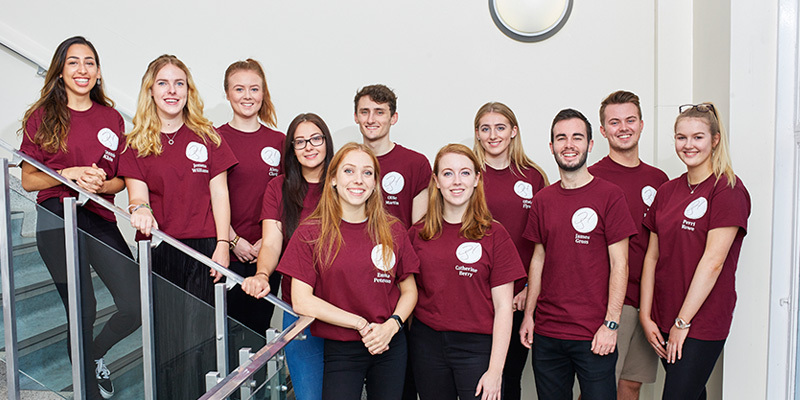 HistSoc is entirely run by our students and organises an exciting programme of academic, social and employability events throughout the year, including a Careers Networking Dinner and a Christmas Ball. Dublin, Prague and Berlin have been recent destinations for the annual trip abroad. You can get involved in the football and netball teams and it’s a great way to meet other students studying History. Our students get involved in a wide range of clubs and societies coordinated by Leeds University Union. Sports and dance are very popular. Many history students write for the student newspaper, The Gryphon, and contribute to Leeds Student Radio. Students interact with the city and local community through their volunteering activities.